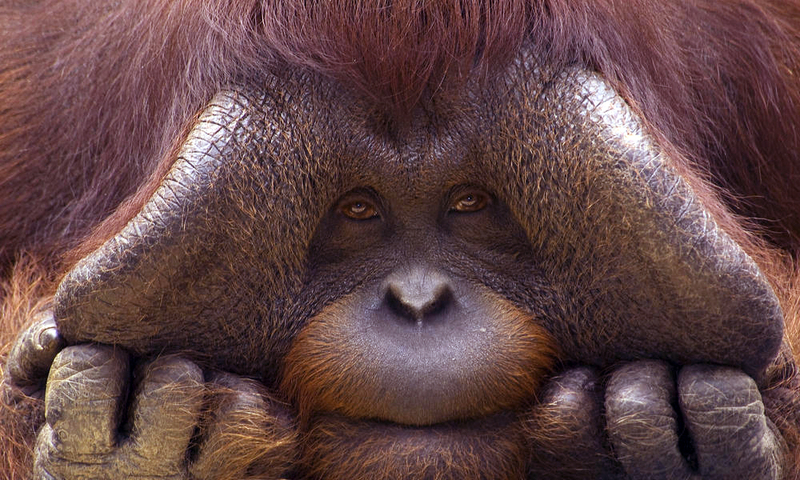 Possibly the cutest apes in existence, we all recognise Bornean orangutans from comical birthday cards and memes. Characterised by stocky bodies, lithe limbs, auburn fur, and chubby cheeks, these adorable apes are the third-heaviest living primates in the world, and the largest tree-dwelling animals in existence. However, they are sadly also considered a critically endangered species, with just 40,000 left in Borneo. Although this number may not seem particularly concerning at first, the population is thought to have decreased by over 55% in the past twenty years, highlighting how dramatically the number of orangutans in Borneo has dwindled. 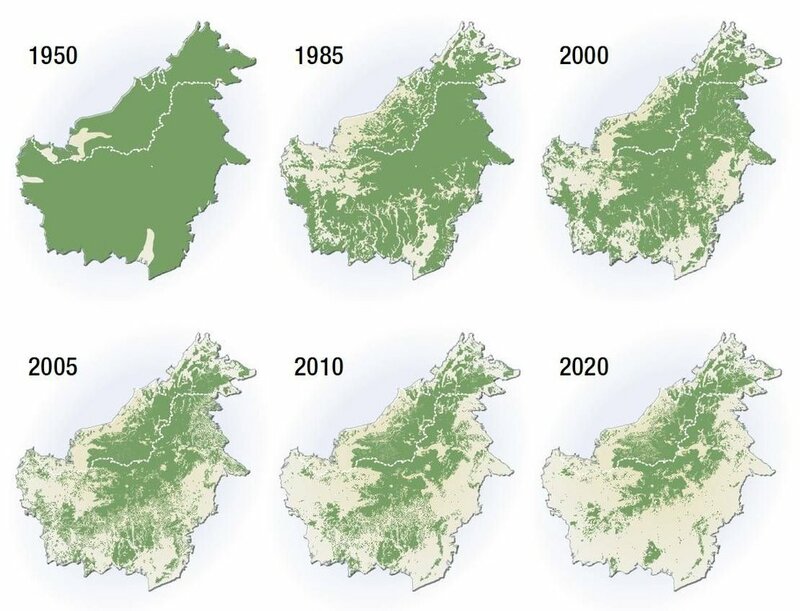 This dramatic decrease in population is a result of hunting and more significantly deforestation, as widespread logging and land-clearing pose a major threat to the Bornean rainforest. Particularly worrying is the way in which the natural rainforests have been converted into palm oil and timber plantations, wreaking devastation with the orangutans’ habitat. However, in an attempt to turn this dire situation around, the Friends of the National Parks Foundation (FNPF) was established in 1997 and has been working in Borneo ever since, implementing several projects that focus on helping “wildlife, habitat, and community” and thus protect the Bornean orangutans and their habitat. For example, in the Tanjung Puting National Park, the FNPF plant at least five saplings per day in the reforestation site as well as constantly collecting seeds to plant in their nursery. They also monitor the trees for three years after they have replanted them and patrol the park for fires, which can arise easily due to the slash-and-burn agriculture method used by local farmers. 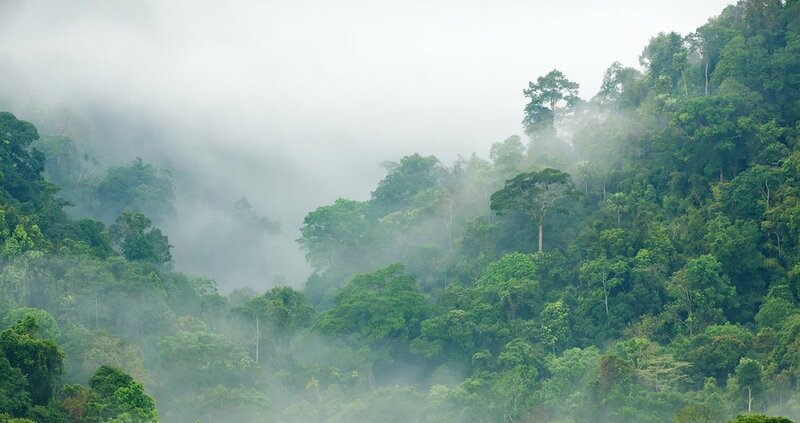 So far, they have reforested a whopping 415 hectares of Borneo’s national park and wildlife reserve, which is the equivalent of 775 football fields. Pretty impressive! Critically Endangered Socks helps with this reforestation project, as with every Orangutan pair that is bought, we can help the charity protect 80 square metres of Borneo rainforest habitat. Since launching our Orangutan sock in November 2017, we have used the funds to purchase two hectares of land in Jerumbun, Borneo. 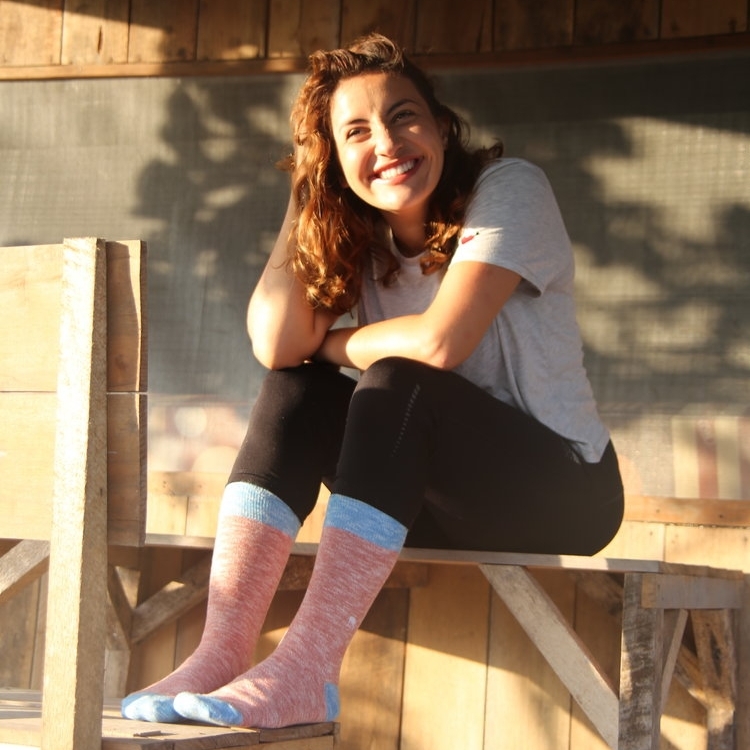 Thus, by buying a pair of our gorgeous peachy orange Orangutan socks, you will not only make your feet look fabulous, but also help Critically Endangered Socks fund the amazing work that the FNPF does in Borneo. Who would have thought that helping these beautiful orangutans could be as easy as buying a pair of socks?